Have you decided that this is the year your business really takes off? Read five New Year marketing resolutions you’ll find it easy to keep – and make it happen. The new year is a great opportunity to raise the bar and start as you mean to go on. However, as determined as we may start the year feeling, as many of 60% of the resolutions we make are doomed to failure. Psychologists put this down to a number of reasons, including the fact that many people set unrealistic goals and expectations in their resolutions. Joanne Gray, founder of marketing consultancy The Progress Lab believes that another reason why our resolutions fail – especially business resolutions – is that we set ourselves so many resolutions that they become unmanageable. As a result, we end up cherry picking, doing the easiest ones first and then leaving the more difficult ones behind. But not this year! 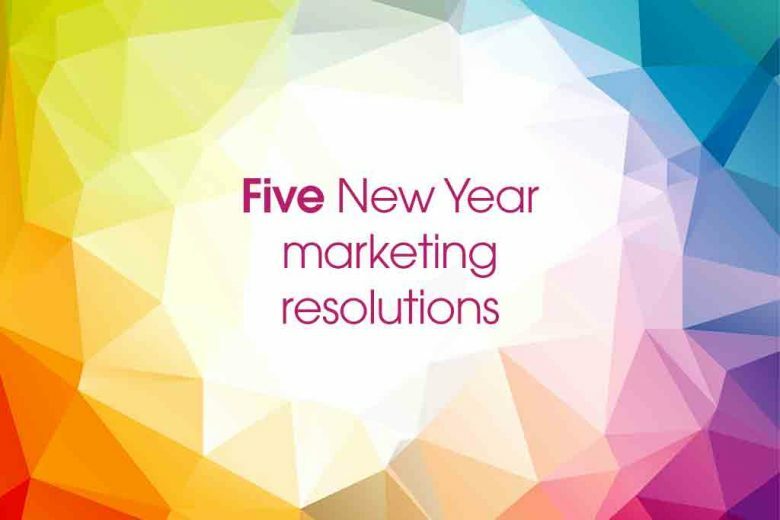 To help steer your business to the success you desire in 2016, Joanne shares five New Year marketing resolutions she believes you’ll find it easy to keep. To help you target your efforts on strategies that you can realistically stick to, I have picked my top five resolutions for making your marketing efforts more effective. Make sure your marketing objectives are SMART (specific, measurable, achievable, realistic and timed). All too often I see business or marketing objectives that are fluffy and vague – and stand no chance of actually benefiting the business. If you make them SMART you’ll find it easier to determine a strategy for delivering against them, and measuring whether your strategy has actually worked. Here’s an example of a SMART objective: ‘Increase my average customer spend from £8 to £10 by the end of June’. I recommend to my clients that they create an annual marketing activity calendar and keep it as a ‘live’ planner. I’m a big advocate of critical paths and project planning, so I like to apply this kind of approach to my marketing communications planning. I personally use a simple excel activity calendar that provides a snapshot of my annual marketing plan in an easy-to-digest format. What better way is there to enhance your marketing efforts than to really engage with your customers regularly? And the great news is that it’s easy too. All you need to do is ask them questions, find out what they like or don’t like about your brand, get their thoughts on new product concepts or names, ask for feedback on colour or flavour options… just start talking to them. By talking to and listening to your customers, making them feel involved in your brand and responding to their needs you don’t just keep loyal customers but actually turn them into brand advocates who are more likely to spread the word about what you do. Keep a close eye on your marketing metrics throughout the year. Review them monthly and look at what’s working and what’s not, and figure out what you need to do differently. For example, monitor and gauge how your followers on social media platforms engage with your content and respond to it. If you share inspirational quotes and get no likes then maybe the tone is not right, or maybe your customers just might not like all that fluffy stuff!! Great ideas seldom come when you are forced to come up with them, instead they are more likely to arise when you clear your thoughts and allow your mind to wander. I have come to realise that there are certain times of the day or activities that are conducive to allowing me to escape from the busyness of the moment and to enable better clarity of thinking. That’s when those light bulbs moments happen. You may be wondering why these marketing resolutions are ‘easy’ to keep. It’s simple – they’re all the basic foundations of a successful marketing strategy. Used properly, they’ll deliver the results you want for your business, encouraging you to do more of the same. They’re also easy to implement, and great habits to get into, if you haven’t already. So here’s to a successful 2016! Email Joanne and find out how she can help you devise a marketing strategy that unleash your business’ true potential.